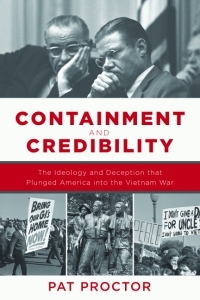 Containment and Credibility: The Ideology and Deception that Plunged America into the Vietnam War is a compelling account of the domestic political debate over the Vietnam War. It follows the evolution of the argument between successive administrations, the press, academia, the Congress, and antiwar activists as they struggled to move public opinion about the war. To learn more about Containment and Credibility, click here. Containment and Credibility, published by Carrel Books (an imprint of Skyhorse Publishing), will be released in November 2016. Task Force Patriot and the End of Combat Operations in Iraq Tells the story of an artillery-turned-infantry battalion that arrived in Iraq in late summer 2009 to take over as the last US combat force in Saddam Hussein’s hometown of Tikrit and its eleventh-hour struggle to overcome resistance from insurgents, intransigent Iraqi politicians, and, occasionally, the US interagency team to solve the last unsettled problem of the Iraq war, the sectarian divide. To learn more about Task Force Patriot, click here. 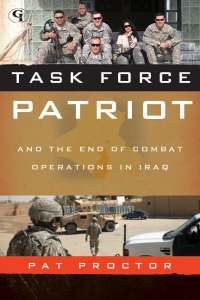 Task Force Patriot, published by Government Institutes Press (an imprint of Rowman & Littlefield), was released on 15 December 2011. In Operation Iraqi Freedom, insurgent and terrorist groups have demonstrated the capability to use small, relatively insignificant tactical attacks, amplified through the megaphone of the media, to dramatic effect on the will of the American public to prosecute the war. This capability has neutralized the overwhelming advantage the US military has in firepower in Iraq by bypassing it completely. Recent trends (including Israel’s abortive war in Lebanon in 2006) suggest that this capability is proliferating and will characterize every enemy the US military faces for the foreseeable future. Left unchecked, this capability will weaken the United States’ ability to project military power for all but the most finite, decisive future conflicts. This is ProSIM's first e-book title and Pat's first full-length book. This book is the culmination of over two and a half years of study of the US military, the insurgency, and the media in Iraq, including lessons learned from Pat's first six-month tour in Iraq working on the front lines of the media war. 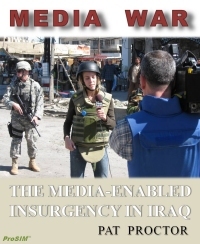 Media War: The Media-Enabled Insurgency in Iraq is available in two convenient formats. Media War for the Amazon Kindle. In addition to the Kindle itself, Amazon Kindle software is also available free for your PC. This software is also available as a free app on a number of other devices, including the iPhone and Android-based devices. Google eBooks, once purchased can be viewed from any device. On your PC, the book is viewed via your web browser without any special software. Google Books also offers a free app on a number of other devices, including the iPhone and Android-based devices. So, you’ve decided to serve your country. Before you can raise your hand and swear an oath to support and defend the Constitution, there is one big hurdle in your path, the Armed Services Vocational Aptitude Battery (ASVAB). 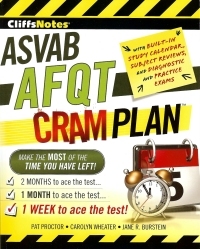 You must especially do well on the Armed Forces Qualifying Test (AFQT), the four key subtests of the ASVAB that the services use to measure you against your fellow recruits. To see an excerpt, click here. Buy it at any of these great retailers!